April 2011 – NWC-Sports.com | The Official Site of the Northwest Conference for nwc news, nwc scores and more. Columbus Grove accepting applications for Boys Basketball Coach position. 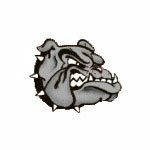 The Head Boys Basketball Coach position at Columbus Grove is being posted. If interested, please submit a letter of interest along with qualification to Mr. Scott Hummel, 201 W. Cross St. Columbus Grove, OH 45830. This position will remain posted until May 6th.